As the quest for the total restoration of the sovereign state of Great Biafra gets tougher, Biafrans are becoming more stronger and formidable as they keep on working assiduously and taking giant strides towards uniting together for the success of this great quest. The Indigenous People of Biafra (IPOB) Igweocha (Rivers State) under the leadership of the state co-ordinator, Mazi David Njoku continue to showcase their resoluteness through their relentless and vigorous efforts towards the restoration of Biafra as they keep on inaugurating new IPOB family units. Yesterday being the 14th day of May 2017; the Igweocha south East senatorial district headed by Hon. 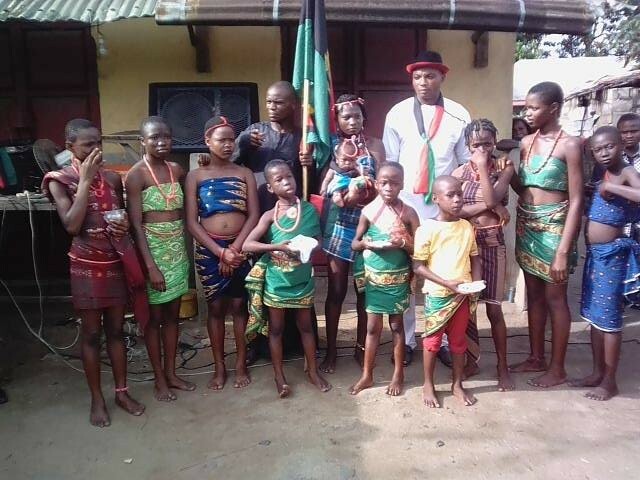 Gabriel Chigozie inaugurated a new IPOB Family zone known as St. Augustine Zone in Obigbo. The inauguration which took place at St. Augustine Street Kom-Kom in Obigbo; was accompanied by colourful Biafra cultural displays and cultural dancers who entertained the people. Same attracted the attention/presence of passersby who join the event. Another wonderful presentation which rouse the Biafra spirit in the crowd was the Biafra Heroes songs, sang passionately by elders and youths who raised Biafra flags up to the view of everyone. The state's visiting team leader, Hon. Prince Isaac Onyema also made the IPOB family unit inauguration a historic one when he comically narrated educative history about Biafra and also told the people, the importance of fighting relentlessly for the restoration of the sovereign state of Great Biafra. Hon. Gabriel Chigozie who was not left out in the event, emphasised more on the need for Biafrans to unite and fight for their freedom. He also advised the zone and Biafrans worldwide, to abstain from anything that will soil their names or delay the restoration of Biafra. In a brief interview with the zonal coordinator, Mazi Anthony Nnaji commended the leader of Indigenous People of Biafra, Mazi Nnamdi Kanu for not disappointing Biafrans when there were speculations from some individuals that he would. "Am so much grateful that Nnamdi Kanu still stand strong for Biafra. Truly, he is sent by Chukwu Okike Abiama (the creator) to liberate and restore the land of Biafra. 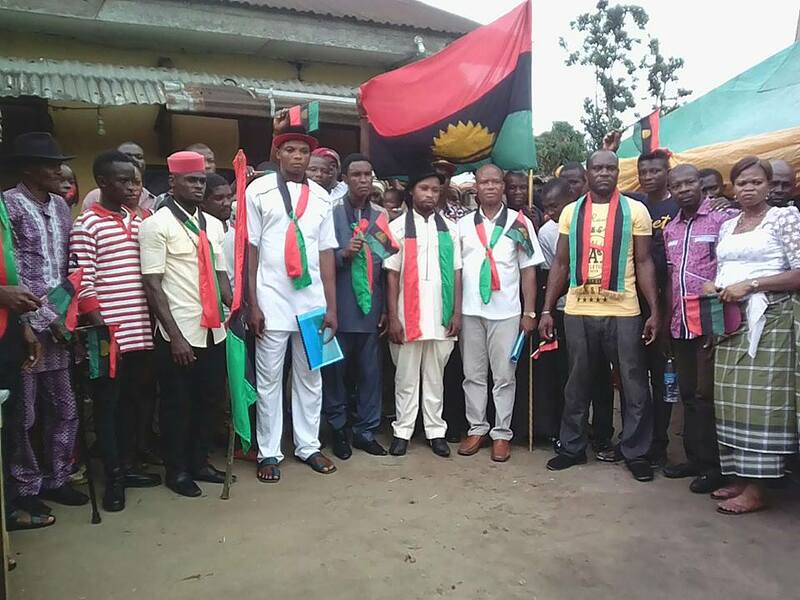 I promise this zone and Biafrans all over the world, that I will use all I have to work for the restoration of Biafra. I will never disappoint IPOB, I will make sure I create more IPOB families and street units and I will remain resolute until Biafra is restored", he said. 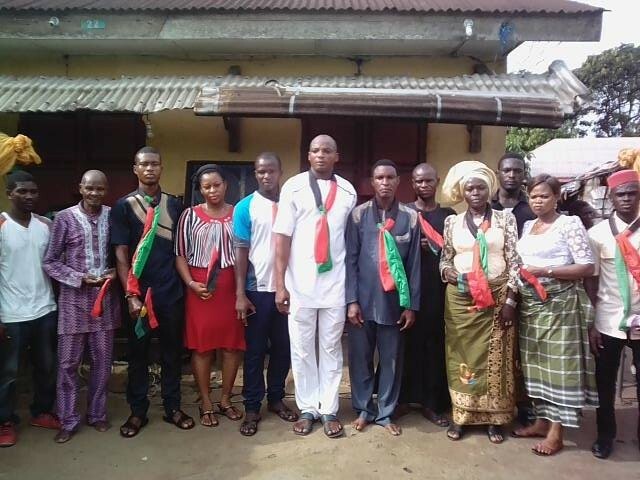 During the closing remarks, the Igweocha south east senatorial coordinator and state's visiting team leader appreciated all that made out time to converge for the inauguration and also urge them to remain more formidable, resolute and most importantly, never to relent until Biafra is restored.